Lack of auto insurance is a growing problem in Illinois. If you were involved in a car crash or a truck-car collision with an uninsured driver, or in a hit and run accident, you may still be able to make a financial recovery for your injuries. In Illinois, it is mandatory to carry uninsured/underinsured motorist coverage. The personal injury lawyers at the Orzoff Law Offices will review both the other driver’s insurance policy and your own insurance policy to see which policy can pay for your damages and losses. In the case of underinsured motorists, you may need both policies in order to pay for the full cost of your medical bills, lost wages, pain and suffering and loss of normal life. We have a track record of successful settlements and verdicts in personal injury lawsuits and wrongful death claims. We will not let our clients get less than they deserve: see our client success stories. If you or a loved one suffered injuries in a car, truck, bike or motorcycle accident, contact our Northbrook or Chicago law office to schedule a free consultation. It’s common for people to try to save money on their car insurance by carrying a lower limit. For example, the other driver may only have $50,000 in liability insurance, but a serious brain or spinal cord injury may result in damages in excess of $500,000. 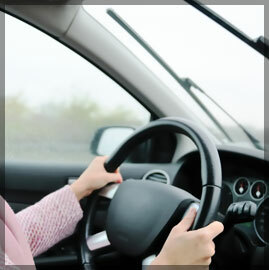 We will seek the maximum amount available under the other driver’s insurance policy. After that, we will negotiate with your own insurance company to cover the remaining damages until we reach the maximum available under your policy. Uninsured motorist coverage operates in a similar manner to underinsured coverage, except that your insurer will pay all of your expenses and damages because the person who caused the accident did not have liability insurance. Uninsured motorist coverage should also cover the cost of your damages if you were hurt in a hit and run accident. If your car accident was caused by a drunk driver, in addition to seeking compensation from their insurance company, or your insurance company, we may also be able to seek compensation from the business that served the driver too much alcohol. This is called a dram shop case and it is an avenue we will pursue in order to ensure that you receive all the compensation you deserve.